Seattle Times reporter Steve Miletich wrote an article discussing a bill, introduced in the WA State Legislature, which would make it easier to bring criminal charges against officers over the use of deadly force. Miletich reports that RCW 9A.16.040 was the subject of a Seattle Times Special Report and virtually precludes murder or manslaughter charges against police officers even if prosecutors concluded that an officer committed a wrongful killing. House Bill 2907 comes at a time of national scrutiny of killings by police, marked by the Black Lives Matter movement. Miletich reports that it “faces a steep hurdle” to attract enough votes in the House, which is narrowly controlled by Democrats, some from conservative rural districts, and to win passage in the Republican-controlled Senate. In addition to striking the “malice” and “good-faith wording,” House Bill 2907 eliminates language outlining some scenarios in which officers may use deadly force. It’s replaced requirements stating that an officer must “reasonably” believe that there is an “imminent threat” of death or serious injury to the officer or a third party, and that lethal action is necessary to prevent it. What is reasonable, imminent and necessary is likely to be hotly debated. Supporters believe the proposed changes would be beneficial. “This legislation provides much-needed guidance to law enforcement officers statewide on the use of deadly force,” Kathleen Taylor, executive director of the ACLU of Washington, said in a statement. “It rightly allows officers to use deadly force only if they reasonably believe that there is an imminent threat of serious harm to themselves or other persons.” She argues that current laws have made it nearly impossible for the public to hold officers accountable for the wrongful use of deadly force and has hindered our ability to ensure justice for all. The bill has been referred to the House Committee on Public Safety. It grew from legislation prepared by the Black Alliance of Thurston County, formed in the aftermath of the shooting of two young black men in Olympia last year by a white police officer. My opinion? The legislation is timely, for sure. 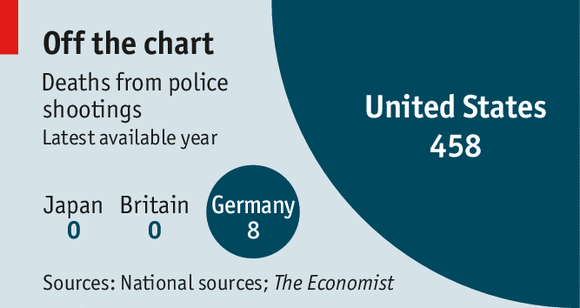 Statistics suggest that shootings from police are increasing. Modern technology by way of dash-cams, cell phone cameras and police body cameras has exposed the phenomenon. Archaic laws should not continue to protect police officers who unnecessarily shoot people. Today, Mr. Ransom obtained dismissals on a Client’s charges of Assault Fourth Degree (DV); Malicious Mischief Third Degree (DV) and Malicious Mischief Third Degree (non-DV). These crimes are gross misdemeanors. Each one of them is punishable up to a year in jail, a $5,000.00 fine, DV evaluations, drug/alcohol evaluations and 2-5 years of active probation. Being convicted also harmed Client’s future employment opportunities, prohibited the owning/possessing a firearms and denied his entry into Canada. Mr. Ransom’s investigations revealed that all parties were heavily intoxicated, Client acted in self-defense and the alleged victims did not want to pursue charges. Based on this, Mr. Ransom convinced Prosecutor to enter a 6-month Stipulated Order of Continuance (SOC). Client dutifully and successfully completed the SOC’s stipulations. 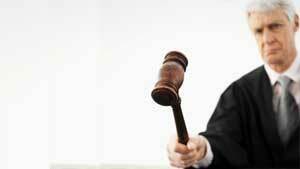 This favorable resolution avoided trial and resulted in dismissals of all charges. Mr. Ransom and Client are extremely grateful for the efforts of government authorities who investigated and negotiated this case. Recently, the Bellingham City Council approved a new and innovative program to expand alternatives to incarceration and help reduce Whatcom County Jail overcrowding issues. The Bellingham Reduced Incarceration Challenge (BRIC) program allows eligible defendants to serve their incarceration through a private, non-profit agency, Friendship Diversion Services (FDS). Here, FDS provides jail alternatives such as Electronic Home Detention (EHD) and monitoring through such devices as SCRAM once the defendant is screened and deemed eligible. GPS technology allows 24-hour monitoring. Participants on EHD must remain in their residence unless the Court permits them to leave for a specific purpose. However, they may leave the home for certain verified periods for approved activities to include school, work, treatment, counselling, probation/parole, medical/ dental appointments, scheduled court hearings, attorney appointments and child care provisions. While there are fees associated with this jail alternative, the costs are significantly lower than traditional jail and/or jail alternatives. Even more attractive, this alternative sentencing program is especially helpful for those with medical issues that prevent them from serving traditional jail or alternatives since they can serve their sentence at home and continue their prescribed medical treatment. All defendants will be eligible to apply for financial assistance if FDS finds that they qualify as low income during the intake screening process. At sentencing, the Court enters a Home Detention Order (HDOR) authorizing the defendant to serve his/her sentence through FDS, if eligible. Any request for credit for time served (CFTS) should be presented with verification at the time of sentencing. The defendant is then initially screened to determine eligibility. If deemed eligible, the defendant must comply by first contacting FDS by phone within 1 business day to set an intake appointment. At sentencing, the defendant signs a promise to appear for a Jail Review scheduled approximately 2 weeks after sentencing. That review hearing is stricken once the Court receives confirmation from FDS that the defendant has complied. A sample copy of this HDOR is attached. If requesting credit for time served (CFTS) towards any jail recommendation, the attorneys should come prepared at sentencing with documentation verifying any jail already served since the Court cannot obtain that information. Any violations of the HDOR are reviewed by the Court to determine appropriate sanctions including removing the defendant from the FDS program and withholding jail alternatives for the balance of the sentence. The Court intends to expand the BRIC program to encourage rehabilitation and reintegration. These programs benefit both the individual and the community. Programs being considered, among other things include re-licensing, theft awareness classes and even the possibility of work crews. My opinion? I’m impressed. The BRIC program is a new and innovative way to facilitate EHM without having to get Whatcom County Jail Alternatives or a private home monitoring company involved. Good stuff.